Greenko Energy Holdings Pvt. Ltd has raised about $447 million (Rs 3,000 crore) in equity funding from existing investors GIC Pte Ltd and Abu Dhabi Investment Authority (ADIA), the renewable energy company said in a statement. Singapore sovereign wealth fund GIC will invest $316.1 million while an entity of the Gulf emirate's wealth fund will put in $79.3 million, the statement said on Monday. Promoter group firm Greenko Ventures will invest the remaining $52 million. Also on Monday, Greenko had announced its acquisition of clean energy firm Orange Renewable Pvt. Ltd for an equity investment of $300 million (about Rs 2,000 crore). Including debt, the enterprise value of the deal is $922 million, the statement said. AT Capital-backed Orange Renewable was founded by Arvind Tiku, who also started Singapore-headquartered private equity firm AT Capital. It operates about 907 megawatt (MW) of operational capacity and has 500 MW of under-construction capacity. The acquisition will add about $130 million to Greenko's operating profit in the first full year after close, with additional growth anticipated thereafter, the statement said. GIC continues to maintain a majority shareholding in Greenko Energy after the latest round of investment. Both GIC and ADIA have invested heavily in Greenko in recent years. Last year, Greenko Energy had raised $155 million from GIC and ADIA. In March 2016, Greenko had mobilised about $230 million from the two sovereign wealth funds. 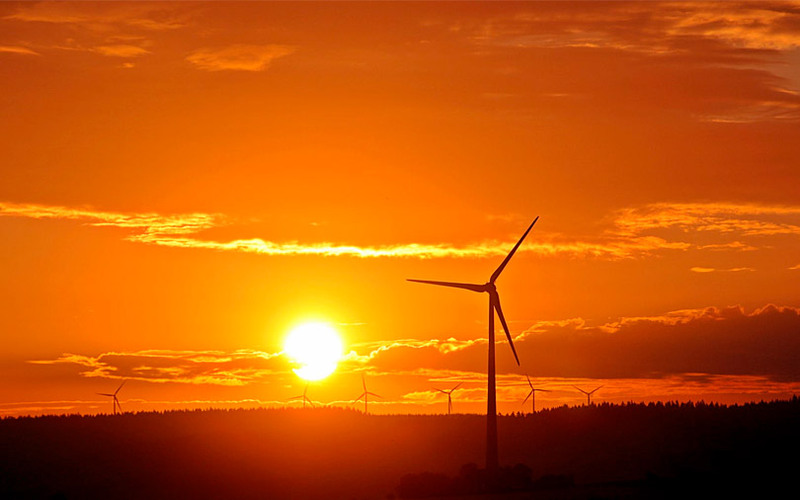 Hyderabad-based Greenko owns and operates renewable energy assets across wind, solar and hydro segments. Its total operational capacity will reach 4.2 gigawatt (GW) after completing the buyout of Orange Renewable. It also has about 7 GW of projects under construction and planning, taking its overall portfolio of capacity to over 11 GW. Greenko aims to increase its power generation capacity to five gigawatt by 2019, it said. Greenko's previous acquisitions include the 2016 buyout of the Indian assets of US-based SunEdison Inc. Last year, it bought Pennard Renewables Pvt. Ltd.
Greenko is one of several renewable energy companies in India that are expanding buoyed by the government's target of setting up 100 GW of solar and 60 GW of wind capacity by 2022 as part of an initiative to reduce dependence on fossil fuels.